The only requirement to use the fax-to-email service is internet connection, which enables Net2Mail users to send, receive, or check old fax messages anytime, anywhere, and even on the go via their laptop or mobile devices. CHT Global (Chunghwa Telecom Global, Inc.), a telecommunications service provider supporting local Chinese and Taiwanese American enterprises and small businesses, today announces the official release of their Net2Mail web-based fax solution: the Digital Fax Engine. Integrated within the Net2Mail Hosted Enterprise Email web platform, Net2Mail users will now be able to send and receive fax messages in digital form via the internet, thus allowing for a more convenient and cost-effective fax solution for today’s business environments. Net2Mail’s Digital Fax Engine provides an alternative to the traditional legacy office fax lines and fax machines. Allowing for greater flexibility with out-of-the-office access, cost and paper waste reduction, as well as online archiving. The only requirement to use the fax-to-email service is internet connection, which enables Net2Mail users to send, receive, or check old fax messages anytime, anywhere, and even on the go via their laptop or mobile devices. The digital fax service comes in a bundled package priced at a manageable starting point of $7 per month, which includes a dedicated fax number, an email account that doubles as the archival system for fax messages, and unlimited inbound fax transmissions. Outbound faxes can also be sent anywhere around the world with fees starting as low as $0.10 per page for transmissions to locations within the United States and Taiwan. Currently, dedicated fax numbers are limited to select California and Taiwan area codes, with the goal of eventually providing any area code of the customers choosing. Jeff Shaw, the lead Net2Mail service architect notes that Net2Mail and the Digital Fax Engine will give Chinese and Taiwanese American merchants and enterprises a competitive advantage, saying: “We’ve noticed that a lot of small and medium businesses have a need for professional services that can enhance their business and image, but the problem is that they can’t afford it. CHT Global is in a unique position to leverage its many resources from Taiwan to bring Chinese and Taiwanese American businesses solutions that are not only cost-effective but also market tested." CHT Global is also working on rolling out an all-inclusive small business “Toolkit” which will package together multiple value-added services to aid and enhance small business operations. 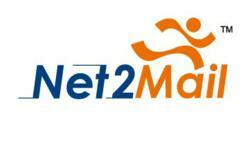 Net2Mail is CHT Global’s branded hosted enterprise email solution that can be found online at http://www.net2mail.chtglobal.com. Net2Mail is powered by Taiwan’s HiNet Group and is the American version of the award winning HiBox solution currently being used by over 10,000 enterprise customers in Taiwan. A hosted email platform, Net2mail is armed with the latest and best-of-breed spam filtering and virus security systems, and also provides English as well as Traditional and Simplified Chinese interfaces. CHT Global (Chunghwa Telecom Global, Inc.) is a global telecommunication solutions provider. As the wholly owned U.S. subsidiary of Taiwan’s largest telecom, Chunghwa Telecom Co., LTD. (NYSE: CHT), CHT Global has helped numerous multinational enterprises achieve their targeted goals while reducing customer side complexity by providing industry leading multi-site network solutions through its global backbone infrastructure and world-class service. For more information, please visit http://www.chtglobal.com.